Laptops are always difficult to decorate appropriately and not many people choose to do so. 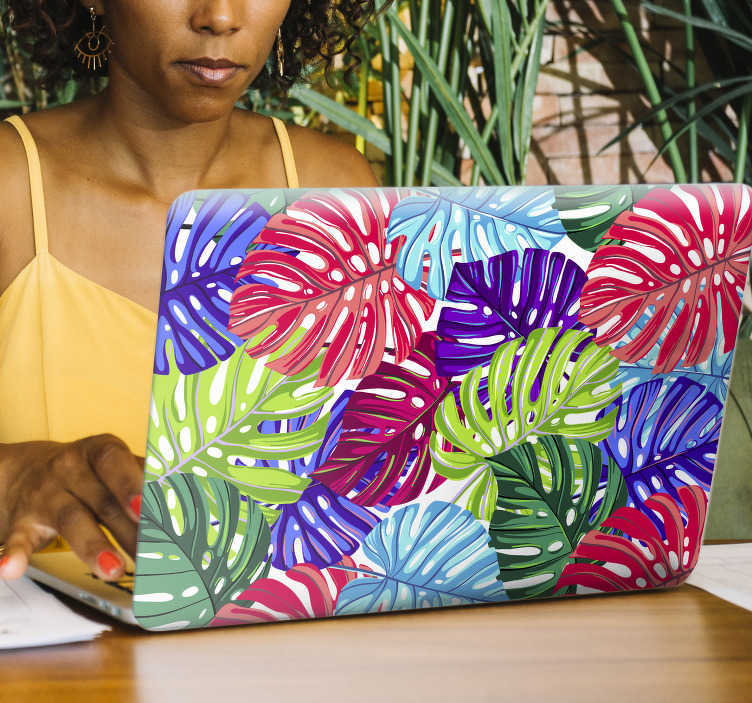 However, we at Tenstickers wonder why more people don´t take the opportunity to do so, given that a laptop design can really distinguish you from the crowd and mark your personality. Well, we have come to the conclusion that there was a lack of appropriate laptop decor available. Not any more, though - As this stunning floral sticker, depicting a selection of tropical leaves, shows - We have got the game cracked!